This is an amazing time to be considering careers and new businesses in the food world. 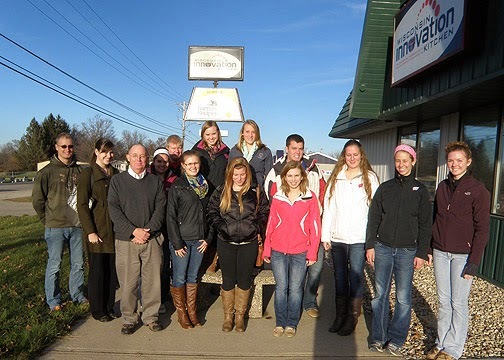 The University of Wisconsin National Agri-Marketing Association visited the Wisconsin Innovation Kitchen last week. It was exciting discussion to consider the wide ranging opportunities these young people have waiting for them in food and agriculture. Thanks for a great visit! Farms, food and the future. These young people inspire me! Innovation Kitchen rock stars. Go YumButter!